Ideally located between the seafront and the main shopping area with all the prestigious boutiques in Cannes, the Hôtel Gray d’Albion is a genuine haven just off the busy Croisette. Try out the sun-packed cuisine at the restaurants: sample some of the subtle combinations and flavours of World Cuisine at “38 The Restaurant”. Or enjoy Mediterranean and Lebanese specialties at the restaurant on the hotel’s private beach by La Croisette. The “Jane’s Bar” is an ideal spot to meet up with friends or business associates at any time of the day. After a dip in the Mediterranean, the hotel offers guests a private beach including mattresses, parasols and towels for your relaxation (supplement). From the hotel’s private beach jetty: water skiing, scuba diving, boat trips, rubber rings and other water toys (in season). 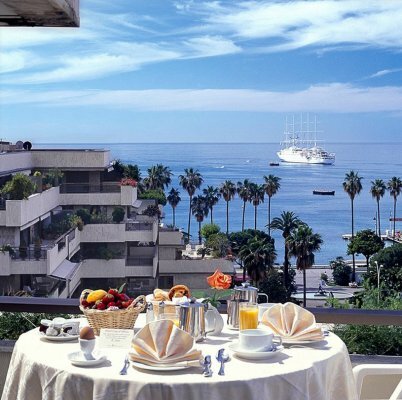 The Gray d’Albion Hotel is located between la Croisette and the rue d’Antibes, authentic jewel of shopping in Cannes shopping which sets oneself apart by a “city style” elegance. The adjacent streets, which certain are organised as half-pedestrian streets, encourages one to stroll and enter in the fashionable stores. The hotel is located on La Croisette, facing the sea, an ideal spot for your morning jogging. Our Concierge can suggest various routes as you wish. Nowadays Cannes boasts 4 Tennis clubs, including one just a few minutes from the hotel with 5 clay courts. Other sports or activities are available close to the hotel or in the region. 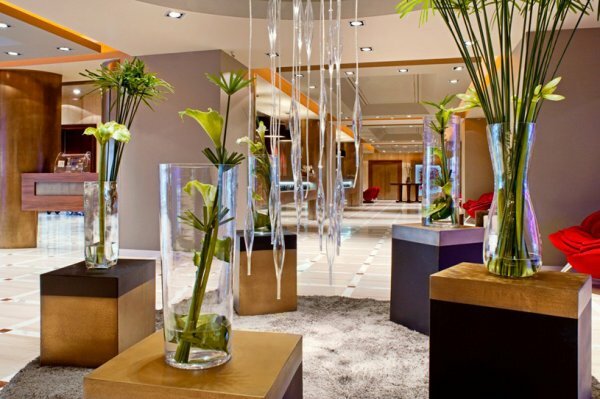 Our concierge will be delighted to guide you with all relevant details. Cannes is nestled between the sea and the mountains…. the Isola 2000 ski resort is only 120km from the hotel and offers one of the most beautiful skiing domains in the Southern Alps. Cross country slopes and a snow park available. And for skiing with the family, the Greolières ski resort is ideal (just 50km away). Scuba diving, windsurfing and even fishing enthusiasts will be delighted……….all water activities imaginable are possible in the Mediterranean! Our Concierge can tell you where to go and can arrange boat trips for you. Not forgetting the other activities ranging from go-carting to pétanque for enthusiasts in the Cannes region. Plane or helicopter flights are also available – a 15-minute drive to the Cannes-Mandelieu aerodrome. There are pproximately 1300 sqm of luxury stores in the new wing of the Majestic. It is only dedicated to our custommers and to the people of Cannes’ pleasure for their shopping afternoon on one of the most beautiful avenue of the world. Take your time to stroll and discover new things. Each store will show you new beauties, beginning with the ones you will find in the stores of the Majestic’s new wing. Haute couture, jewellery, leather goods, beauty parlours, decoration stores follow one another without an end. The most famous French and International brands are represented, demonstrating that Cannes is, more than ever, a place you can’t miss. Modern room and bathroom. Town view. Size: approximately 22 sqm Between 2nd and 4th floors. Modern room and bathroom. Town or hotel garden view with balcony. Size: approximately 22 sqm. Between 2nd and 5th floor. Modern room and bathroom. Balcony with view over hills or Cannes. Size: approximately 22 sqm. Between 6th and 8th floors. Modren room, lounge area and bathroom. Balcony with view over Cannes. Size: approximately 27 sqm . Modern room and bathroom. Private access to the floor. Balcony with view over hills or Cannes. 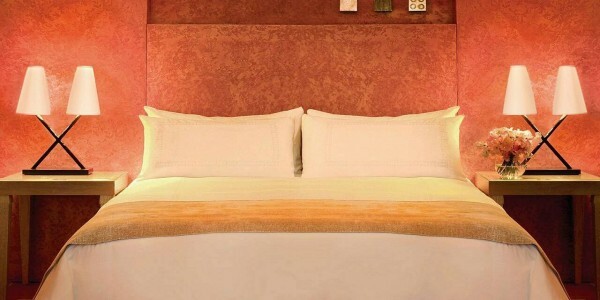 Fitness hall, sauna and hammam facilities Size: approximately 22 sqm Located on 9th floor. 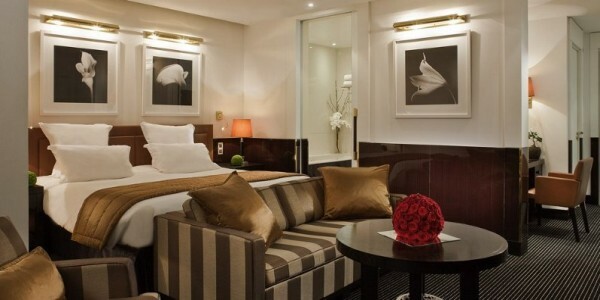 Modern suite; large lounge, separate bedroom and bathroom. Balcony with beautiful view over the hills. Size: approximately 66 sqm. Modern suite: terrace facing the sea, lounge and separate bedroom. Size: approximately 43 sqm. Try out the sun-packed cuisine at the restaurants: sample some of the subtle combinations and flavours of World Cuisine at “38 The Restaurant”. Or enjoy Mediterranean and Lebanese specialties at the restaurant on the hotel’s private beach by La Croisette. Chef Fabrice Gauthier uses mainly produce from around the French Riviera, the Mediterranean and Provence for his World Cuisine, which is inventive and exotic. From Tuesday to Saturday, 12.30pm to 2.00pm, and from 7.30pm to 10.00pm. Closed on Sunday and Monday (except for certain festivals). Give our chef barmen carte blanche if you are curious and enjoy a good conversation. In addition to new sensations in your glass (consume in moderation), you may discover the origin of the hotel’s name (Gray d’Albion) which was intended to attract the first British “tourists” who came to the French Riviera. At the end of the Middle Ages, this was how the French named the English coast and white cliffs. The white coast (alba, in Latin) was already mentioned before becoming Albion in common speech. As for Gray, it simply sounds so British, and comes from the French word “craie” which means chalk, from the white cliffs. Rudementary, my dear Gray d’Albion. So, have a great time learning from our barmen!